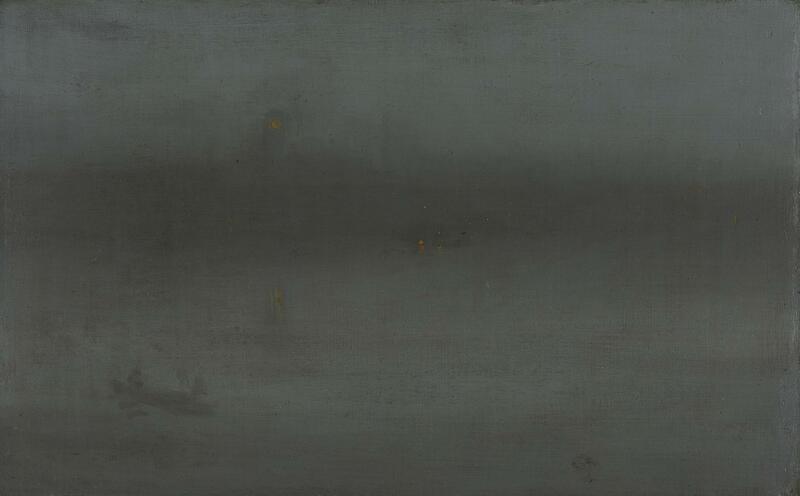 James McNeill Whistler, Nocturne, Blue and Silver: Battersea Reach, 1872–78, oil on canvas. Isabella Stewart Gardner Museum, Boston. The Morgan Library is the perfect place to muse on Henry James: John Pierpont Morgan’s scholarly,” curated by Colm Tóibín and Declan Kiely and on view for another week and a half. It’s possible that the Morgan’s show on James’s relationship with expatriate painters won’t convert the uninitiated, but it will undoubtedly serve as a pilgrimage stop for the faithful. There are some titillating letters from James to a probable lover, and who doesn’t love a Whistler? I heard my favorite lines from , about the clink of unseen bracelets, when I paused in front of Frank Duveneck’s portrait of Elizabeth Boott Duveneck: “Her smile was natural and dim; her hat not extravagant; he had only perhaps a sense of the clink, beneath her fine black sleeves, of more gold bracelets and bangles than he had ever seen a lady wear.” It was the wrong novel: Boott Duveneck was apparently the inspiration for the uncanny Pansy Osmond in , not for the sophisticated Madame de Vionnet of . But the Jamesian perfume is so pervasive you’re bound to hear all manner of rustles and breaths—that is, until you exit onto Madison Avenue.